GLORIA GREER, respected and honored print and TV journalist, currently edits The Social Life section of Palm Springs Life magazine and hosts and produces two new television shows for PBS in Southern California as well as continuing her Time Warner Cable series, now starting its 14th year. "Exploring The Arts": originally seen on KCET Desert Cities, is now in its 4th year on KVCR TV, the Inland Empire PBS Affiliate. Exploring The Arts is an in depth look at the exploding art scene in Southern California with emphasis on the Coachella Valley. Recent shows have focused on Palm Springs Art Museum, Coachella Valley History Museum, Fashion Institute of Design & Merchandising, and Palm Springs Air Museum. "Classic Conversations", seen on KVCR TV, looks back at interviews Ms. Greer has conducted over the years with some of the most important and entertaining people of our time. "Conversations With Gloria Greer" on Time Warner Cable Desert Cities is seen four times a week and repeated 24/7 on Desert Cities On Demand. Her guests have ranged from Benjamin Netanyahu and Walter Cronkite to Brad Pitt, Nicole Kidman, Merv Griffin, Rita Rudner, and Julie Nixon Eisenhower. 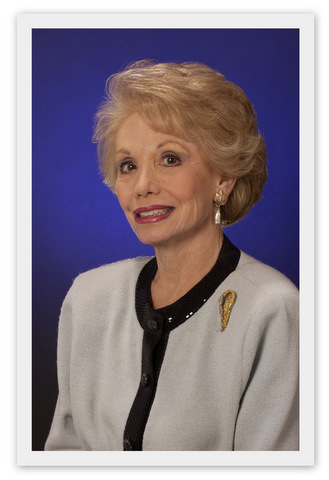 Greer’s extensive background in print and electronic media includes 25 years as entertainment editor and anchor of the nightly NBC affiliate, KMIR TV 6, editor and publisher of Sand To Sea magazine founded in 1974 by her mother Mrs. Lew Landers (widow of film director Lew Landers) and sold to Palm Springs Life in 1999, columnist and feature writer for the Pulitzer Prize winning Press-Enterprise for more than 20 years, columnist for Daily Variety, critic and columnist for Variety (weekly), correspondent for Newsweek Magazine, Newsweek News Service, Associated Press, and Town and Country Magazine where one of her contributions was a 23-page by-line spread on the Coachella Valley. She is the daughter of the late composer and Broadway producer Anatole Friedland and her step-father was the late film and Emmy nominated television director Lew Landers. She comes by her journalism talent naturally - her great aunt was a journalist on the New York World, at the time a major New York City newspaper, and one of her great uncles was an editor at the Frankfurter Zeitung, in Frankfurt, Germany. Greer’s large following is proved by her induction into the Academy of Television Arts & Sciences prestigious Silver Circle for her contributions to the television industry; named one of the women “We Most Want to Watch” by the Desert Post Weekly; recipient of the California Hispanic Print Media Award; recipient of the Television Personality of the Year Award by the Sun City Community Association. Desert Business Achievement Awards’ “Spirit of the Valley” Award; the Spiritual Life Ministries Award; the prestigious Athena Award as Entrepreneur of the Year from the Palm Springs Chamber of Commerce; named “Patriot of the Year” by the Association of Naval Aviation for a two part series she filmed from the aircraft carrier, the USS Abraham Lincoln; first journalist to receive a star on the Palm Springs Walk of Stars; “Good Samaritan of the Year award, (an honor she shared with Mrs. William- Powell); recipient of the Woman of Achievement Award from The American Friends of Hebrew University; and the first recipient of the Palm Springs Woman’s Press Club’s “Press Woman of the Year.” In 2011, she was honored with a prestigious Broken Glass Award from Palm Springs Women In Film & Television. Greer is the mother of twin daughters, Ann and Norma, and has two grandsons. She has served on numerous philanthropic and civic committees and currently is on the board of directors of the Palm Springs Air Museum, the Palm Springs Cultural Center, and is founding president of ACT for MS which she formed after one of her daughters was diagnosed with multiple sclerosis in 1999. Greer’s community service has introduced her to increased fans and viewers. She was founding – president of the desert chapter of Merv Griffin’s Childhelp USA in Beaumont, founding member of the Palm Springs Chapter of National Charity League; founding board member of Friends of the Philharmonic, Campaign Committee member of the Children’s Discovery Museum, and member of the Junior League advisory board when it was established in the Coachella Valley. She firmly believes that true success can only be measured by the degree in which one is able to help those who are not as fortunate as she has been and that an appreciation and enjoyment of the arts, performing and visual, enriches all of our lives. "Journalist Gloria Greer has interviewed the world’s most interesting and entertaining individuals. Her stories about their personal lives (from President John Kennedy to Elvis Presley) and anecdotes about world icons amuse and delight audiences." US Presidents & world leaders who had an impact on PS, the desert & the nation. Gloria, for the many decades I have known you, I have always admired and respected you enormously as a highly talented and skilled journalist. You would rate among the very best that I have ever encountered. Yet I must admit I truly was never exposed to your oratory skills. You are absolutely brilliant! Your presentation was by far the most stimulating and educational delivery I have ever heard from attending a dozen or more lecture series at Cal State San Bernardino. In fact, your performance would absolutely rate among the best and most skilled deliveries that I have ever heard given anywhere at any time or place. My friend, you are a brilliant speaker and Tuesday evening, September 11, was my first opportunity to be able to personally acknowledge this impressive fact. Keep up your great work. You are a treasure! Warmest personal regards to you in which Ardith joins me. I will be interviewed by Elise on the Elise Richmond Show. Hope you will join me. Co-Chair Christmas Tree Lane benefiting ACT for Multiple Sclerosis. Celebrity Hosts, Jack Jones & Ruta Lee. Guest speaker at Cal State San Bernardino Associates reception & lecture in the Indian Wells Theatre. Reception at 6 PM. Lecture "Perception & Deception" at 7 PM. Victoria Wilson, Author & V.P & Senior Editor at Alfred Knopf Thank you for sending on our interview...I love the way you wove in the photographs. It's a strong interview; you did a great job, both interviewing me and producing the piece. Susan ("Suz") Kay Hunt Loved your interview with Helene- you were awesome! Howard P. Marguleas Your presentation was by far the most stimulating and educational delivery I have ever heard from attending a dozen or more lecture series at Cal State San Bernardino. Buzz Steussy Your contributions and experience are second to None! Toby Jae The interview you did with Mr. [Andy] Williams in 2009 was absolutely wonderful! Shirley Wilson, PR Director Fashion Institute of Design & Merchandising This is a fantastic video-documentary about FIDM on Exploring the ARTS!! !